Notes: Aster (Sunflower) family. The small, single, yellow flowers are seldom noticed. It is when they go to seed, forming the showy seed balls, that they are most apparent on our trail. That it why it was decided to place it under white instead of yellow flowers, as we felt people would see it and look for it there. It is listed in wildflower books under yellow. 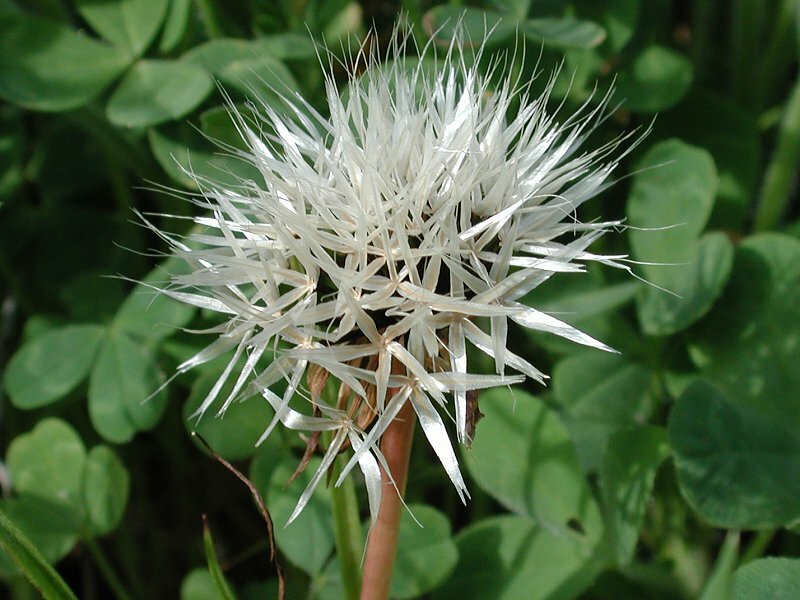 The picture below is of the seed head, which is white and about an inch across. No USDA classification was found with the above plant name, but it does appear under this name in Calflora at link, where its new name is given as Microseris lindleyi., which does appear in USDA classification. Click on the species name below to go to USDA for this plant.